Birmingham’s Innovation Depot has played a key role in growing Alabama’s biotech industry, with standout facilities, strong ties to world-class researchers and an extensive network of contacts that help new firms make their mark in the field. The business incubator is home to a wide range of startups, but its benefits for biotech companies are especially significant, President and CEO Devon Laney said. With 25,000 square feet of wet lab space, a rarity for incubators, Innovation Depot offers a readily available set-up. Innovation Depot is an important player in attempts to support biotech and technology start-ups. 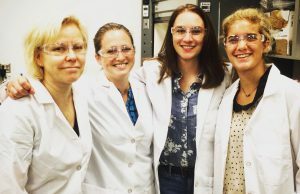 “Instead of having to find a space and spend money on converting it to a suitable wet lab, they can walk right in, set up shop on Day 1 and be ready to go,” Laney said. 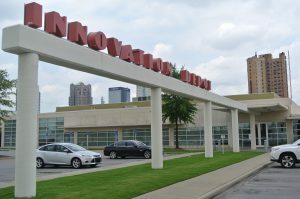 Innovation Depot also has a strong, longstanding partnership with the University of Alabama at Birmingham, and sits just 2.5 blocks from its campus, fueling synergy. “We are a part of the UAB culture, and serve as a conduit and outlet when someone is taking technology developed at UAB and looking for a place to grow and commercialize it,” Laney said. Innovation Depot is designated as an international “soft landing spot” for foreign companies looking to enter the U.S. market. Before they fully commit resources to building or renovating a facility, they often send advance teams to build relationships with banks, utilities, vendors and others. For example, Innovation Depot provided office space and introductions to the local business community for British startup Oxford Pharmaceuticals, prior to the opening of the company’s new manufacturing plant in Birmingham. In 2015, Innovation Depot had 104 member companies which employed more than 800 people, according to its latest annual report. Altogether, those firms raised more than $27.7 million, predominantly through venture capital and angel investors, and they reported $161 million in combined gross sales. Since 2010, the economic impact of Innovation Depot is calculated to be $1.4 billion. One of the biotech companies that has found a home at Innovation Depot is Blondin Bioscience, which is developing a blood test that will evaluate the performance of cancer treatment much faster than current methods. Today, the best way to measure tumor burden is imaging, which can be expensive, said Blondin CEO Brad Spencer. It also takes time, as many patients start treatment and then must wait to see how the tumor responds. Blondin’s blood test measures a nucleic acid biomarker released by dying cancer cells, resulting in a faster turnaround time on determining the efficacy of treatment. Tumor burden is the clinical phrase for the presence of cancer, but there’s also a bigger burden, Spencer said. That’s the overall cancer burden, which is the toll the disease takes on patients and their families, physically, emotionally and financially. Last year, Blondin was awarded a $749,000 Small Business Innovation Research grant from the National Institutes of Health for its research. The two-year, Phase 1 grant will run through April 2017, at which time Blondin aims to secure a Phase 2 grant, which provides significantly more time and money to continue development. Spencer said some people might say the work that Blondin is doing is better suited for other locations, such as the biotech hubs of San Diego or San Francisco, Boston or even Houston, near MD Anderson Cancer Center. But the company has had no problem attracting talent or support in Birmingham, and the proximity of Innovation Depot to UAB has been a plus, he said. Across the state, there are more than 660 businesses that span the sub-sectors of the biotech industry, from agriculture and pharmaceuticals to medical devices, hospitals and research labs, according to BioAlabama, the statewide organization that represents bio-related companies, scientists and business professionals. Statewide, the industry’s employment tops 13,000, and its members have secured more than 600 patents since 2009. 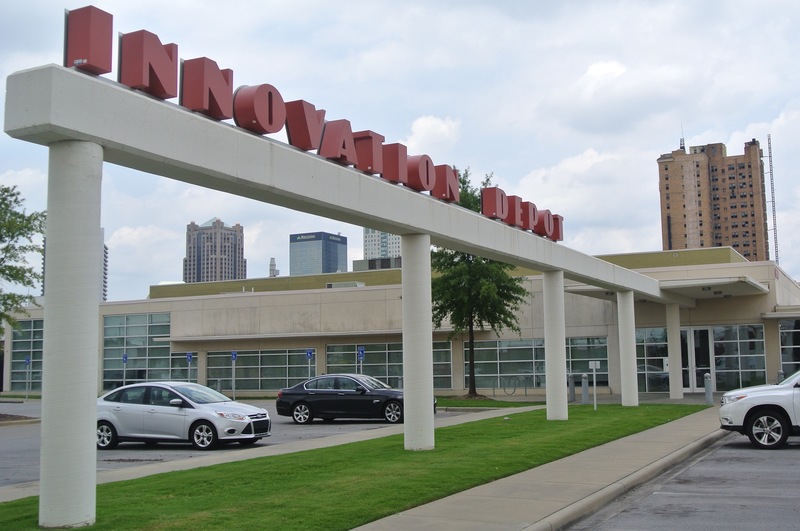 Innovation Depot and UAB also are doing their part to strengthen the pipeline of biotech and other startups in the state. The UAB iLab at Innovation Depot, a partnership between UAB’s Collat School of Business and the incubator, offers students and faculty start-up incubation support and mentorship by industry experts and faculty, said lab director Kathleen Hamrick. The UAB iLab is managed by the university’s Collat School of Business and serves students in all departments at UAB. Last year, Innovation Depot had nine UAB student-led startups, and that number is growing, she said. Thanks to the strength of the partnership between Innovation Depot and UAB, students interested in entrepreneurship also have the opportunity to work directly with Innovation Depot startups. This for-credit option is called ENT 445, and companies are not charged to participate. “The program was first piloted in Spring 2016. Already, it has been a tremendous boon for Birmingham’s entrepreneurial ecosystem and has provided students with industry experience that supports their future careers,” Hamrick said. Other programs include intensive coding challenges that give students direct contact with industry professionals. “These are just a few of the many exciting, effective ongoing educational experiences that we provide for students, which are helping us nurture the start-up ecosystem and the local technology talent pool,” she added.